Rogers Anyplace TV Home Edition (Ontario) for iPhone has been updated to introduce live streaming TV channels for the first time, while also adding over 40 streaming channels to the line up. Addition of live-streaming of channels on Mobile platform for the first time! Addition of entitlement check of customer’s subscribed channels. Addition of 40+ streaming channels to the lineup. 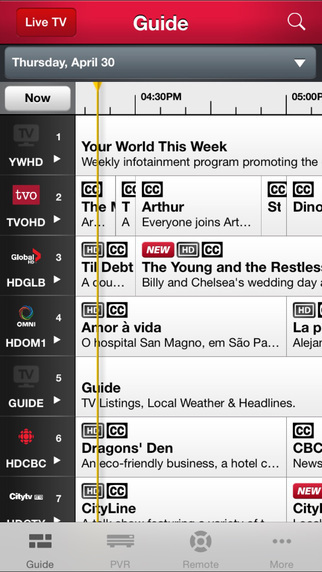 The app is available to all Ontario Rogers Digital TV customers with a compatible set top box model. Once installed, the app can control, schedule and manage your DVR. Previously, live TV streaming was iPad-only, but now it’s available on the iPhone to watch at home. Click here to download Rogers Anyplace TV Home Edition Mobile (Ontario) in the App Store.